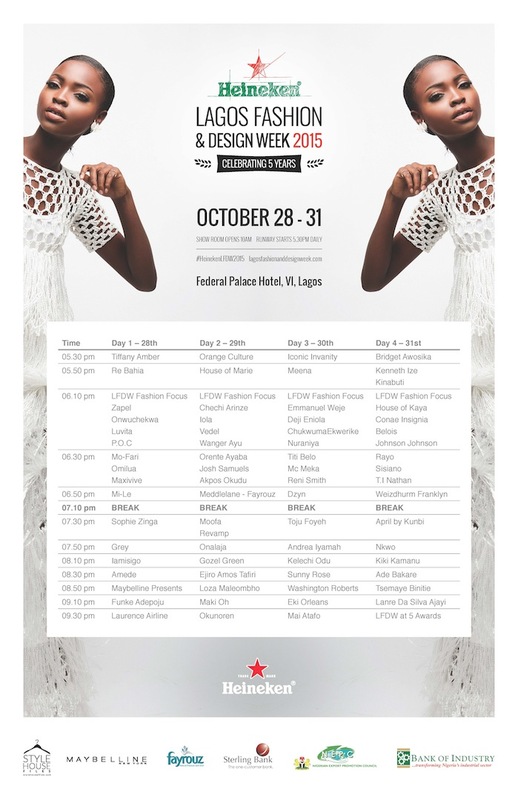 The fifth edition of Lagos Fashion and Design Week (LFDW) will start tomorrow with a new sponsor (more on that below), live streaming, and collections from new designers in their fashion focus platform. I am naturally curious to see whether the fashion show will live up to the hype this year. Last year, I was conspicuously absent from the happenings of LFDW because I became a new mother again. But this year, I am back and I am ready to share my honest opinions about the collections you will see on display. I am not paid by anyone and I do not write for anyone, so trust me, the opinions will be mine, they will be honest, and most definitely relevant. I will not bring any collection down, as African fashion has a long way to go and no need tearing us apart because we make it. But I will be critical. If your designs make no sense. I will tell you. If your designs have a long way to go to establish credibility, I will kindly let you know. I won’t mince words as it does no one any good and I will not write like everyone else does. I will be attentive to the cuts, the design, the appeal, the ethos, the overall objective behind that which people display at Lagos Fashion and Design Week. 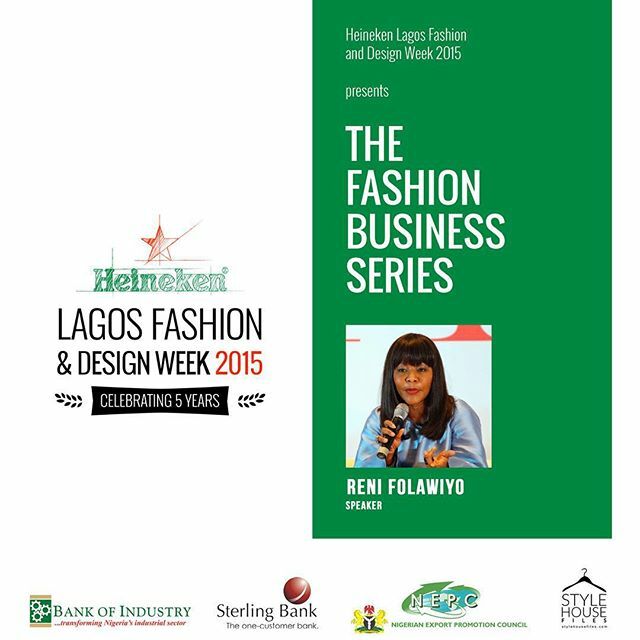 By the way LFDW which used to be sponsored by Guaranty Trust Bank is now sponsored by Heineken. Beer and Fashion never really looked good together so I am curious to know more about this relationship and what if anything it means for the future of African Fashion as the future starts today. This is the first season that the effects of Heineken will be felt and so I can’t help but wonder if it will also lead to a highly curated show for LFDW. It’s truly all in the execution and of course investments of their sponsors. In other words, will LFDW finally put on a glossy package with a great big green bow that will make us all proud of this new collaboration? Only time will tell. LFDW has also garnered praise and support from Western media and rightfully so, but I am curious to learn what local people think about what is being displayed, whether they will support these designers or just resort to using the fashion and design shown with their own local tailor. The stakes are high and all eyes are in Lagos this week. But beyond the shows, and since I am being honest, Lagos Fashion Week has been this huge missed opportunity for an actual marketplace or the selling that typically goes on in showrooms after shows. The name of the game is to attract attention and so to the organizers you have done so now (to your credit 4000 fashion insiders year is huge), but honestly aside from your success, you have been talking mostly to yourselves as your success has not necessarily turned into success for the designers that showcase their collection on your platform (this is not including the usual suspects). I will applaud you though for your fashion focus which your creative director suggests that: “The Fashion Focus initiative aims to support the professional development of emerging creative talent in Nigeria. Through the workshops, the top 16 finalists will gain hands on experience working with industry experts from Nigeria and the U.K, which they can apply to grow their respective brands”. ‘Economically, it has been a challenging year as oil is no longer a sustainable source of the nation’s wealth. It is imperative we diversify and fashion could easily be one of the many opportunities to improve our current economic challenges. The Fashion Business Series aims to create dialogue between those in the fashion and textiles sector, relevant government stakeholders and key members of financial services community to work towards scaling the fashion industry to a point where it can significantly contribute to the nation’s GDP’ remarks Project Manager – Fashion Business Series, Ronke Adeola, on the programme’s importance to the nation’s economic landscape. So, kudos for thinking about this. But never forget that fashion designers have to eat and they don’t need another lecture from impressive speakers if it will not lead to action. 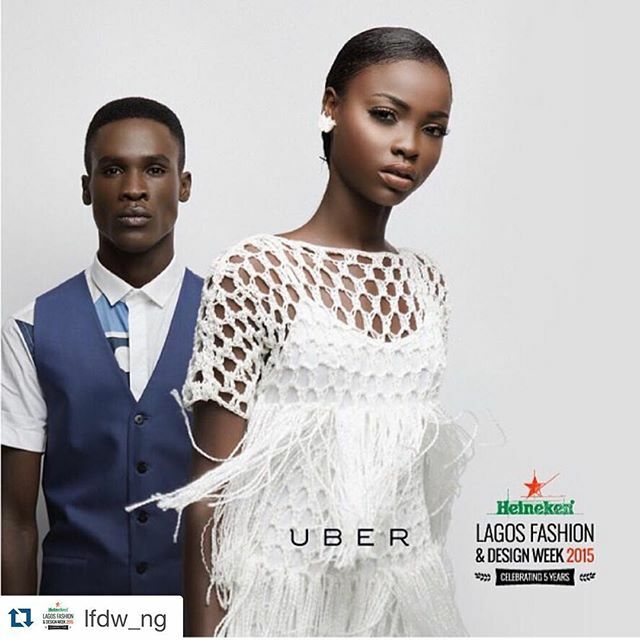 So to LFDW organizers, why put on a show if it doesn’t lead to breakout retail opportunities for every designer? 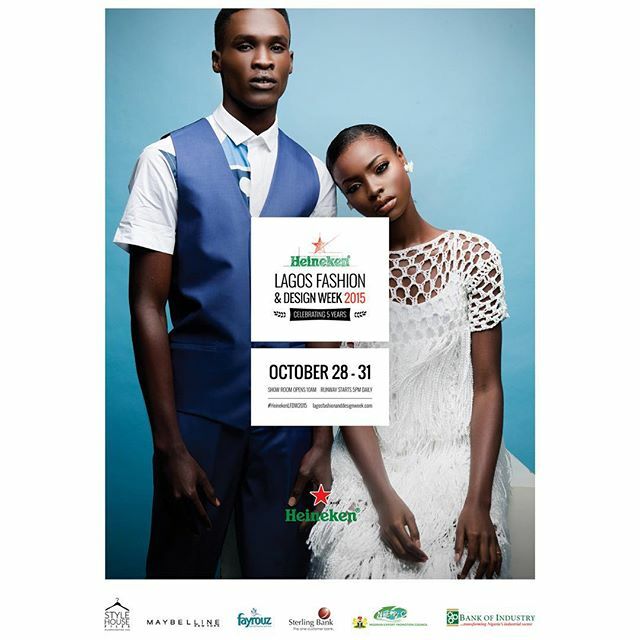 Lagos Fashion and Design Week has the platform and opportunity to do so and they also have to prove that being part of their enclave will exponentially improve the visibility of brands that showcase their collection . Let’s just hope that this year lives up to the green hype.